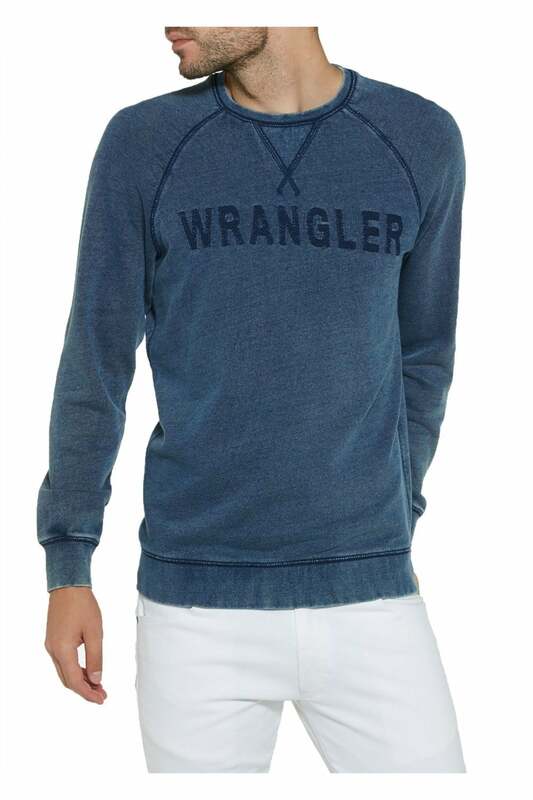 Boost your casual attire with our vintage inspired Wrangler sweat. A staple piece in your transitional wardrobe ideal for layering now and wearing alone later in the season. Made from a pure cotton which lends itself to being a lightweight and breathable offering. The sweat is styled in a relaxed raglan style sporting a slim fit and long sleeves. To complete the look the sweat has V-Stitch neckline detailing and Wranglers signature logo on the chest.